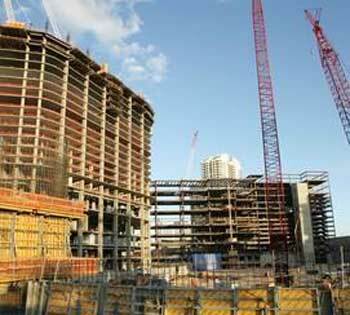 Las Vegas hotel developer funds stopped and reduces construction work force. Commercial real estate developer of the $3.1 billion Fontainebleau hotel alerted contractors of denied access to some of the $130 million in construction financing. The constructions funds were expected to be available according to the developer last week. A separate set of lenders apart from the $800 million pulled from financing a week prior stopped access to funding. Fontainebleau Las Vegas hotel condo might find it difficult to fund its retail loan. Condo presales at Fontainebleau were expected to raise between $700 and $900 million before the mortgage crisis earlier this year. Although, analyst have told investors the $2.9 billion real estate project on the Strip has funding for the proposed hotel opening in late 2009. 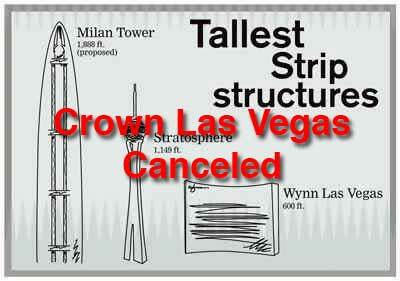 Crown Las Vegas $5 million hotel casino resort has been canceled. Crown gaming company from Australia said a joint venture for the site of the former Wet n Wild 27 acre site in Las Vegas real estate. The current credit market and struggling hotel neighbors on the Strip have concluded the project not financially viable. Fontainebleau Las Vegas $2.9 billion resort is unfazed by credit market. The Strip real estate development keeps its distance from the construction overruns and credit market crunch similar to Crown Las Vegas, Tropicana and Cosmopolitan Las Vegas condos. The development has an expected 2009 opening and completely financed. Condos for sale in Fontainebleau are expected to commence this September. The marketing and promotion of these 1,018 luxury condominiums better be strong or the credit crunch market could take them down the path of its neighbors on the Las Vegas Strip.